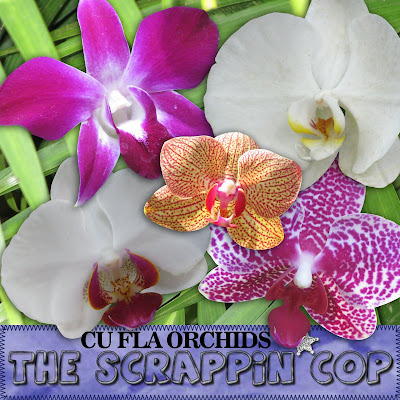 The Scrappin Cop: CU Orchids from Florida's Busch Gardens Tampa! CU Orchids from Florida's Busch Gardens Tampa! If you follow me on Twitter at all you know that we went to Busch Gardens yesterday and had a great time riding all the rides with no lines at all! There was an "incident" at lunch when a seagull attacked me as I was walking outside with my lunch and a tray full of Diet Pepsi's. Needless to say, the bird got away with the bread from my sandwich and I ended up with 3 spilled Diet Pepsi's. I was not happy! They were very nice about it at the snack shop though and gave me another sandwich and more drinks. Now you know why they say "DON'T FEED THE BIRDS!" I photographed lots of lovely flowers yeterday and had some time to extract them last night and today before we headed out to the beach. Today's set are 5 gorgeous orchids in png form (drop shadows for preview purposes only) and hopefully tomorrow I will have some different flowers (including some roses) to post. Then Friday I am on my way to St. Louis for the Digigathering! I can't wait! I am pretty concerned though about how the rest of the family is going to get home. Our van is in the shop down here at Bradenton because the transmission is MESSED UP. I am so disgusted, we have had this van about a month and it starts giving us problems. Luckily it is still of course under warranty so we won't have to pay to have it fixed but I doubt it will be fixed by Saturday. I am flying to St. Louis then taking Amtrak home on Sunday evening. If worse comes to worse, DH and the kids can bring his parents' Cadillac home and they can drive the van home after it is fixed but that is a long drive in a car with no dvd players or satellite TV! Beautiful! Thank you for the lovely flowers! Thanks for the gorgeous flowers! Hope they can get your fan fixed real quick! You could have my luck... I purchased a car on a Saturday with less than 30 miles on it... I called the dealership on Wednesday to ask him which tire shop he recommended to fix a flat... when I called said tire shop to see if my tire with FORTY TWO miles on it was still under warranty, I KNOW he put me on hold and laughed at me for popping a tire four days after getting the car. Moral of the story, Wendy's parking lot curbs are vicious!! Hope everybody gets home ok, hate to hear about the car. 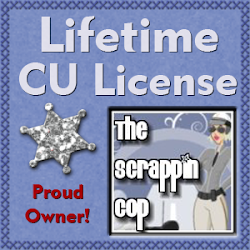 Gotta love those warranties, though! Thanks for the flowers, they're beautiful. I have a weakness for them, too but you're better at photographing/extracting them than I am!! Thank you for the beautiful goodies :-) I appreciate the hard work you put into these! Beautiful flowers - thank you! Thank you! Your blog post will be advertised on the DigiFree Digital Scrapbooking Freebie search engine today (look for timestamp: 26 Mar [LA 01:33am, NY 03:33am, UK 08:33am, OZ 07:33pm] ). Beautiful flowers, thanks. Sorry about the seagull incident and more so the problems with the van. Sounds like you will be the fortunate one by flying to StLouis. If the van doesn't get fixed, It surely will be a long ride for hubby and the kids. Don't feed the dolphins either. They'll go ballistic for hot dogs! Wow, with so much going on (vacation, car troubles, bir attacks) you still have time to take these great pictures and extract them to share with us. Amazing! You vacation troubles sound like one of my normal days. It also sounds like you are handeling it very well. Thanks for sharing. These are some very beautiful Orchids. Thank you for sharing these beautiful flowers. Your flowers are Awesome! Thank you SO much for them! Love the flowers! Hope things turn out okay with your van and you enjoy St. Louis. I wish I had signed up for that trip! Thank you so much for this Freebie. I want to let you know that I posted a link to your blog in Creative Busy Hands Scrapbook Freebies Search List, under the Elements Only, Papers Only post on Mar. 26, 2009. Thanks again. These orchids are just so beautiful - thank you very much for sharing. Orchids are my favourite flower and the deep pink one is almost identical to the ones in my wedding corsage. Definitely going to get a lot of use out of these for scrapping my wedding photos (eventually!) Thank you VERY much! Sounds like Busch Gardens was great, apart from the Hitchcock moment! 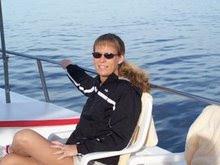 Sorry about the car issues, but glad you are having a good vacation...well with the exception of the bird thingie! I have to ask. Are you going to Hummie's digi-gathering? Wish I was closer so I could go! Waaaa! Wow! These flowers are amazing. And your extraction work is so good. Thanks tons for posting them for us. Merci beaucoup pour ces jolies fleurs ! I just moved to Ft Myers April 1. I better get used to birds. They are definately not my favorite! I would have panicked BIG time if vany bird o uwld have touchedme. ACK! These are so fabulous! Thank you!